Welcome to the Fishing Report from Townsend, Tennessee in the Great Smoky Mountains. At 6:52 am, the temperature outside is 64.9 degrees. It rained last night. We got .28” of rain in Townsend. The Knoxville Airport reported almost no rain at all. We do have a low chance for more rain this morning. Later, it will be mostly sunny with a high temperature of 60 degrees. It is warmer than that now. Go figure! It will be breezy today. Cold air will move in tonight, with a low temperature plunging into the mid-30’s. It will be sunny Saturday and Sunday, and cool, in the low to mid 50’s during the day and in the low 30’s at night. Little River is flowing at 474 cubic feet per second (cfs) or 2.63 feet on the flow gauge. Median flow for this date is 315 cfs. The water temperature is 56.5 degrees this morning. The water level is rising, but slowly. Hopefully, the river will peak soon and recede. Right now, Little River is fishable. It could be stained, temporarily. Little Pigeon River is barely rising. Oconaluftee River is rising sharply, with a current flow of 1,630 cfs, 3.19 feet, compared to median flow of 662 cfs. The water temperature is 52.2 degrees this morning. Tellico River has not risen much at all. Cataloochee Creek rose sharply but it is receding now, quickly. I would wait until later this morning to go. Check the USGS gauges before going. A gauge reading of 2.5 feet on Little River is on the high side of good. The river is flowing slightly above that now. I don’t know how far it will rise but I suspect it won’t rise much more. I could be wrong. Water temperatures are perfect. Trout will be very active. Aquatic insects will likely be active too. Watch for Quill Gordons, Blue Quills, Blue Wing Olives, March Browns and other insects on the water today and through the weekend. Be prepared with a selection of dry flies to mimic these insects. It would be a good idea to have some wet flies too, Quill Gordon or Hare’s Ear patterns. If you do not catch trout on dry flies, switch to nymphs. In fact, you may want to start with nymphs, depending on when you go. We are very busy at the shop. 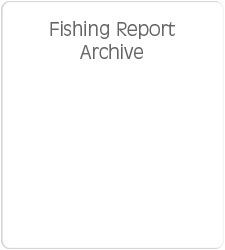 Customers are fishing or preparing for Spring fishing in the Eastern US, especially in the South. 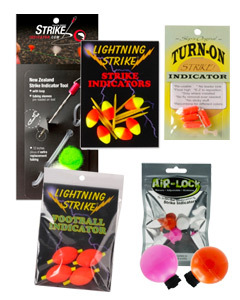 We are shipping a lot tackle and flies. Customers are visiting the shop, buying tackle, waders and flies. It is Spring break in many places. Visitors are here to fly fish. 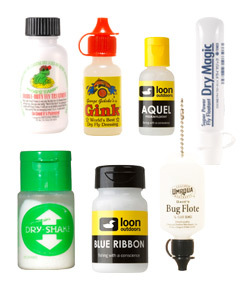 I have been ordering fly tying materials and working on our online store. The fly tying department is in great shape, except for Whiting Farms hackle, which has been hard to get this year. We do have a shipment coming in today, unless the “Bomb Cyclone” out west holds it up. I talked to the sales manager at Whiting Farms yesterday. They are located in Colorado, but he said the really bad weather is missing them. Right now I am building a sunglasses department on the web store. I will launch it in May. We built a new polarized sunglasses department in the store and it looks good. Sunglasses are selling well too. 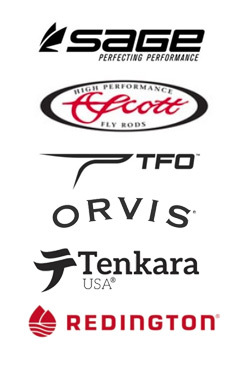 We are missing the tailwater fly fishing customers. 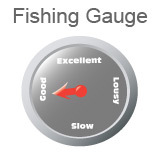 We will all be glad when the tailwaters return to normal. I noticed this morning TVA stopped spilling at Norris Dam. They are sluicing there and at other dams nearby. TVA is still spilling at Wolf Creek Dam in Kentucky. I was there earlier this week, and I have never seen that much water in the river. Of course, TVA is spilling at the Tennessee River dams.